Learn from the best as we do. At Salesflare, we’re always hungry to learn. One way of doing this is to keep a close eye on influencers in our space. However, if you’re anything like us, you’re probably following way too many people and wind up drowning out most of the interesting content. We’re here to help you find the signal in the CRM noise. Our list includes tech-hungry software analysts, trailblazing CEOs and long-lived industry legends. Together they make up a remarkable club, but what they have in common is that they all inspire us when it comes to the use of technology, data and software to optimise CRM practices. Here’s your chance to learn from them as we do. We looked for influencers that make it easy for you to follow them. That means that they’re actively sharing their opinions on social media channels and blogs. We made sure to add social links to each influencer. You can take your pick or choose the easy way and just follow the Salesflare CRM Influencers list on Twitter. Please note that there is no logic whatsoever behind the order of this list. So, without further ado, here’s our personal hit list of CRM influencers for 2017. Matthew is the lead app reviewer over at Zapier. If you don’t know about Zapier, you’re missing out. Zapier gives everyone the power to connect their everyday productivity apps and create their own automated workflows. It already works for more than 750 apps, making it a must-have for anyone looking to streamline their businesses processes. It’s up to Matthew to review all these apps, including a ton of CRMs. His Ultimate Guide to CRM Software is probably the most practical and insightful guide on CRM app you’ll find on the web. While you’re at it, make sure to check out the Zapier blog. It is the go-to place to learn about the best productivity apps out there. Matthew is sharing his best apps and latest thoughts on tech over at his personal blog TechInch, which is truly a joy to read. 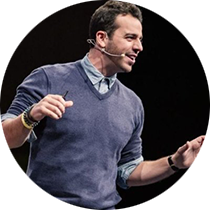 Steli is the co-founder and CEO of Close.io CRM and ElasticSales, helping out startups to scale up their sales efforts. He’s an alumni of Y Combinator, the famous seed accelerator that has help build companies like Airbnb, Dropbox, 9gag and is actively invested in sharing his knowledge on entrepreneurship and skills. He’s the author of ‘The Ultimate Startup Guide to Outbound Sales’ and hosts The Startup Chat a podcast on startups, together with Hiten Shah, co-founder of CrazyEgg and KISSmetrics. 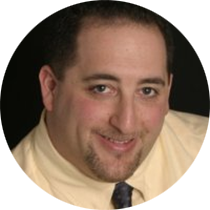 Paul Greenberg, aka the Bob Dylan of CRM and a devoted Yankee fan, has been one of the most omnipresent and shaping voices in the CRM community. Each one of the four editions of his bestselling book CRM at the Speed Of Light, often proclaimed as the ‘CRM bible’, has set new standards in the industry. Paul is the Managing Principal of The 56 Group LLC, an enterprise applications consultancy company focusing on CRM strategy as well as founding partner of BPT Partners, specialised in CRM training. 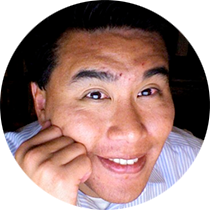 You can read his insights on several blogs and business software website across the web, such as TechTarget and ZDNet, where he leads the conversation on Social CRM, as well as on his personal blog. When contacting Paul, we were excited to hear that he is currently working on a new book called ‘The Commonwealth of Self-Interest: Customer Engagement, Business Benefit’, to be published by Harvard Business Press either late 2017 or begin 2018. Stay tuned! The oldest independent CRM analyst alive, Richard Bohn is a one-of-a-kind blend of salesman and computer geek on a mission to help companies to get the best bang for their buck when it comes to CRM software. He does this by thoroughly reviewing about every single CRM system he can get his hands on. 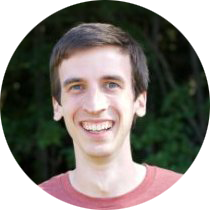 You can find his reviews over at SellMoreNow, along with tons of tips and tricks on CRM use and implementation. If you would ever come across someone more passionate about CRM software than Richard, please contact us asap. Jon Ferrara co-founded the award-winning Goldmine, one of the early pioneers in the CRM space, and has since continued to live up to his reputation as innovator. In 2009 he founded Nimble, a next-generation CRM to really bridge traditional and social communications, sparking a wave of innovation throughout the industry. In addition to his entrepreneurial endeavours, Ferrara is a noted speaker about social sales and marketing and is a regular in the world’s biggest business magazines like Forbes and Fortune. 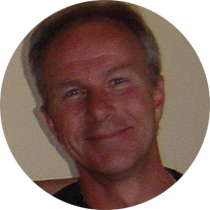 Denis Pombriant is an active and award-winning software industry analyst, author and speaker. He runs The Beagle Research Group, a management consulting firm with focus on business software with an eye for customer experience and customer relationship management. Denis has written two books on customer loyalty and engagement, ‘Solve for the Customer’ and You Can’t Buy Customer Loyalty, But You Can Earn It. As a researcher, consultant and author on customer engagement, Denis advocates the use of Customer Science, a social science using data and analytics to develop and understand the social structures that embrace customers and satisfy their needs wherever these arise. He is currently slaving away at a new book that should be out by mid 2017. You can read Denis’ insights and findings on the The Beagle Research blog, CRM Magazine, CRM Buyer and Diginomica, a blog on digital enterprises, cloud apps and technological disruption. Peter is a product manager/marketeer turned founder. And then sales leader. And then sales operations expert. A one-of-a-kind hustler, he’s all over the place when it comes to startups, early-stage sales and marketing and SaaS. He founded TalentBin, a category-defining talent search engine and recruiting CRM, acquired by Monster Worldwide. 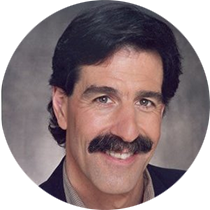 Today, Pete is a startup advisor/investor and the driving force of Modern Sales Salon, a 1,000+ member, invite-only peer learning salon focused on sales operations, sales management and sales systems staff. Keep a close eye on the Founding Sales, the ‘missing manual’ on early stage sales for founders and other first-time sales staff he is currently working on. You can keep up with chapters as they come out by following its Twitter account. 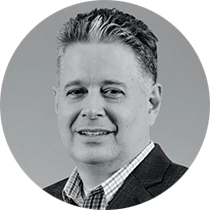 Mitch is a technology leader and practitioner with a particular focus on customer experience, next generation CRM and their more recent intertwinement with social media or Social CRM. He’s known to get his inspiration from one-on-one relationships customers and small businesses have in Williston, his hometown in Vermont. In helping organisations transform, Mitch practises a modern but practical view of customer strategy, process improvement and technology optimisation achieved by creating tight alignment between business strategy, goals and objectives. 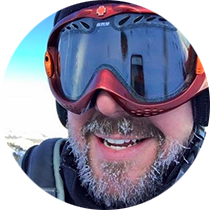 Mitch describes himself as your typical geek dad and is into skiing, cycling, writing and photography. His blog is a wonderful collection of content on the topics mentioned here. 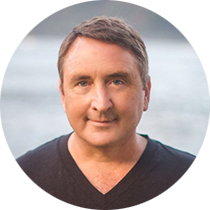 Michael Fauscette is chief-research officer at G2Crowd, one of the most important and transparent business software directories out on the web. Before he spent ten years years as an executive analyst over at technology market research firm IDC and has held senior roles with several other software vendors. 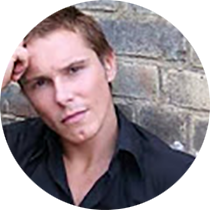 He’s a published author, blogger and photographer and sought-after speaker on emerging trends in business software, business modernisation and customer experience strategies. His blog is a great resource of insights on all of the above. No list like this would be complete without Marc Benioff, the charismatic founder and CEO of Salesforce.com. A pioneer in the CRM space and SaaS-evangelist, he built up Salesforce.com from a startup in a rented apartment into the fastest growing software company in less than a decade. 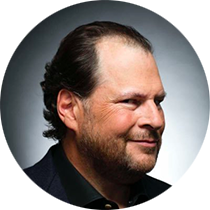 Next to entrepreneur, Benioff is an awarded speaker, author and philanthropist. His bestselling book Behind The Cloud on Salesforce’s industry disrupting story is nothing short of a must-read for every aspiring SaaS-entrepreneur out there. 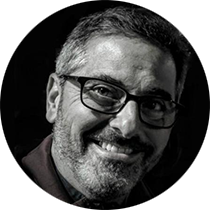 Jeff Kaplan is the managing director of THINKstrategies, a strategic consultancy firm focused on the business implications of the transition of the technology industry from product-centred solutions to service-centred solutions, more commonly known as SaaS. He’s also the founder of Cloud Showplace, one of the largest online resource centres for SaaS, PaaS and Iaas as well as host of the Cloud Summit series, showcasing successful cloud solutions, strategies and success stories. 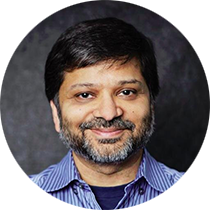 Darmesh Shah is a highly successful software entrepreneur and one of the co-founders and current CTO of Hubspot, powerhouse of inbound marketing software. He’s an active member of the entrepreneurial community in Boston and has made several early-stage investments in software startups. Shah is also the driving force of OnStartups.com, an inspiring online community of +500,000 strong on and for software startups packed with articles and resources. 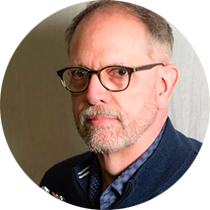 Of all thought leaders listed here, Marshall Lager may be the one with the most hands-on insights to share — although he prefers to think of himself as a thinker rather than a doer. He started off as a senior editor over at CRM Magazine, writing articles and reviews for both the magazine and its blog, destinationCRM. He then went on founding his own consultancy firm, Third Idea Consulting, to pass on his knowledge on the coming together of CRM, social media and brand awareness while still contributing to CRM Magazine. Marshall recently took up a position as senior analyst over at Ovum, an independent consultancy and research firm with a focus on on the commercial impact of technology and market changes in telecoms, software and IT services. Based in South Africa, Perry Norgarb is the founder and editor-in-chief at SmallBizCRM.com to help small businesses make quicker and more informed decisions as to what CRM is the best fit for them. He has more than 20 years of experience in the industry, being involved in sales, marketing and management of IT solution companies, including his own software company and has developed a strong passion for CRMs along the way. He has spoken on several sales conferences (although he claims he’s not cut out for it) and co-hosted a radio show discussing software tools for small businesses. 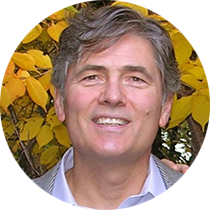 Brent Leary is a co-founder and partner over at CRM Essentials, a CRM consultancy firm focused at small and medium-sized businesses. 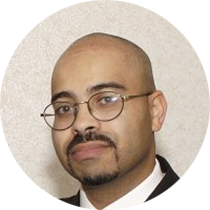 He has over 15 years experience in IT and management consulting working on projects for, amongst others, Compaq, Microsoft, Salesforce.com, the IMF and the World Bank. 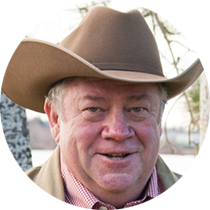 Leary is a sought-after speaker on a variety of subjects revolving around CRM, technology and small businesses. Some of the platforms he shares his insights on include Inc.com, SmallBizTrends and TechTarget. Make sure to check out his columns at CRM Magazine and his personal blog. Lauren Horwitz is a senior executive editor and business applications expert over at TechTarget, one of the most respected resources for technology buyers to turn to. More specifically, she runs the sections on CRM, Salesforce and Content Management. Throughout her career, Lauren has received several awards for her work from the American Society of Business Publication Editors (ASBPE), including a Silver award in 2009. Ron Miller is one of the more legendary tech reporters, having been in the business for more than twenty years. He’s worked for the biggest publications around and is currently reporting on enterprise software over at TechCrunch, making him an influential voice on CRM apps. In fact, a great deal of the articles on CRM over at TechCrunch are from Ron’s hand. Outside of TechCrunch, he’s the co-founder of Socmedianews.com, a blog on the wonderful world of social media. He also blogs, over at Intronis about the cloud an at his own blog, By Ron Miller. 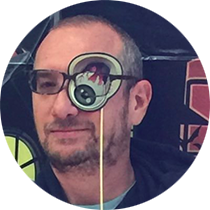 Mr. “All Things Customer” Esteban Kolsky is the the go-to guy for customer initiatives, ranging from CRM to SCRM, Social Business, CEM, CX,… Basically everything that has the letter C of ‘Customer’ in it. He’s the founder of thinkJar, a customer strategy consulting and think thank group that wants to drive organisations to become more open and collaborative. Esteban counts AI and big data among his hobby horses and writes strongly opinionated and downright intriguing pieces on everything with a C on his blog. Which is always a joy to read. Michael is the CRM-expert over at WalkMe, a cloud-based engagement platform to guide and drive users to action within any online experience, used by over 800 enterprise service provides and SaaS vendors. His blog on CRM and CRM software, CRM Simplified, is a great resource of reviews, tips on usage and implementation and infographics as well as recommendations for other quality articles on CRM. 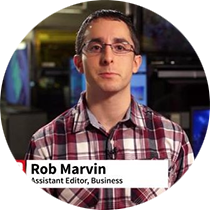 Rob is assistant editor for the Business section over at PCMag. This has him writing news, features and reviews on a gazillion of software and SaaS applications, including a lot of CRM tools. Rob is your typical tech-savvy journalist, excited about all that is innovative and emerging. He’s into startups, blockchain, AI, AR, cloud, legal cannabis tech, big data, deep linking and the mobile app economy, just to name a few. Aside from tech, he does some occasional blogging on movies and TV series, reads fantasy and has his heart routinely broken by the Knicks and the Jets. When he’s not writing, you can probably find him on a couch, marathoning Lord Of The Rings. The extended edition, what else. 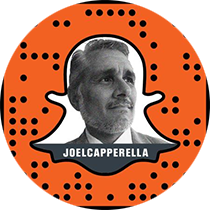 Joel ‘Cap’ Capperella brings over 20 years strategic marketing execution in software and SaaS, with both big fish (SAP, Oracle) and small startups. He’s now building on that experience to help startups and small companies to think like and relate to customers in the way they go about sales and marketing. Joel is an active contributor to The Huffington Post, Entrepreneur.com, FastCompany and HRO Today. You can check out his blog and podcast over at his website. Jesús Hoyos is the managing partner of Solvis Consulting, specialized in the integration and implementation of digital marketing and customer relationship management systems. Solvis and Jesús have a particular focus for the Latin American market, making them unique among influencers in the CRM space. You can read Jesús’ personal blog over at the Solvis website, with posts and podcasts on anecdotes, best practices and opinions on CRM, Social CRM, communities, marketing automation and customer intelligence in the Latin-American region. While his blog is mostly in Spanish, he also keeps to regularly posting in English on LinkedIn and Twitter. 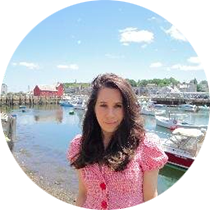 Sara is a staff writer over at BusinessNewsDaily, where she covers business, marketing and business software. Her articles on boosting business productivity stand out for their practicality, with a focus on small business. 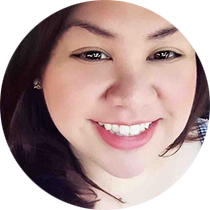 This focus has seen her reviewing a great deal of productivity apps, including a fair amount of CRM software. You can read her review report on CRM software in 2016 here. Sara’s work has also been featured at Mashable, Fox Business and Yahoo News. 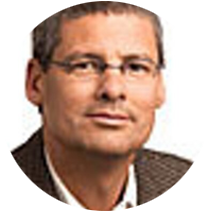 Michael Maoz is the Vice President of Research at Gartner Research. He brings thirty years of experience, of which twenty spent at Gartner. 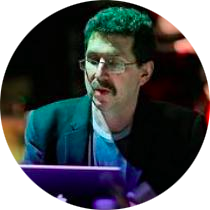 Long story short: Michael Maoz is nothing short of an absolute expert when it comes to business software in general, with an emphasis on CRM. His research is particularly focused on customer strategies and technologies, with a keen eye for CRM customer service disciplines, collaborative customer strategies, social media strategies, cloud-based CRM applications and analytics. He’s also Gartner’s Lead Analyst for Salesforce. His Gartner blog stands out for his engaging way of covering business software, often relating personal stories to analyses into the social customer and social CRM practices. R “Ray” Wang is the Principal Analyst, Founder, and Chairman of Silicon Valley based Constellation Research, Inc. He’s also the author of the popular business strategy and technology blog A Software Insider’s Point of View, easily one of the most popular and influential blogs of its kind with over tens of millions of page views every year. His work and writings revolve around how disruptive technologies, digital transformation and artificial intelligence can bring about or do away with business leadership. His book Disrupting Digital Business draws insights upon on why 52% of the Fortune 500 have been merged, acquired, gone bankrupt, or fallen off the list since 2000. Ray is a regular contributor of Harvard Business Review and has appeared in the biggest publications, including The Wall Street Journal, Reuters, Forbes and Bloomberg. Anita Campbell is the founder, CEO and Publisher of SmallbizTrends.com, which is the most popular, independent small-business blog and community out on the internet. Curated by a full-time committed editorial staff and 400+ experts, it offers a premium source of information, breaking news and advice on issues of key importance to small businesses, like CRM and CRM software. 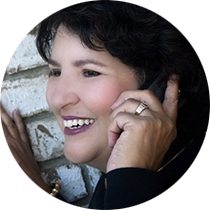 Anita serves or has served on several boards and advisory boards and is the co-author of Visual Marketing: 99 Proven Ways for Small Businesses to Market with Images and Design, published by Wiley in 2011. One of the leading authorities when it comes to small business and entrepreneurship, she appeared in no less than 3 Forbes Top lists: 25 Most Influential Women Tweeting About Entrepreneurship, 20 Best-Branded Women on Twitter, and 30 Women Entrepreneurs to Follow on Twitter. She was also named as one of the 100 most powerful women on Twitter by Hubspot. 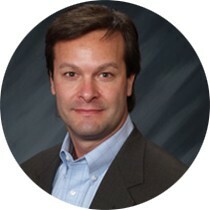 Chuck Schaeffer is currently Go-To-Market Leader for Global Business Services at IBM. This is however just the last of many prominent positions he has held over the years in the space of CRM, ERP and cloud business applications in general. Companies he has led as CEO before include Vantive Media (technology media for business and IT leaders), Aplicor (on-demand CRM and ERP cloud applications), Cinergi Consulting (IT consulting and implementation for SAP, Oracle and Microsoft business systems) and FSC (similar to Cinergi, acquired by Analysts International Corp). As a thought leader, he has been featured in notable magazines such as Inc. Magazine, Wall Street Journal, Forbes, Computer World and CXO Magazine. 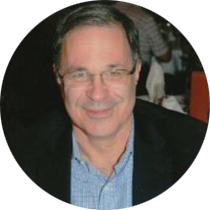 You can read his insights over at CRMsearch.com, as an editor, and CustomerThink. Did we miss anyone? Drop us a line in the comments and we’ll make it right. In the meantime, you can follow all of these influencers in a single click with our Salesflare influencer list.